Will High Cholesterol Eventually Kill You? My grandfather (on my Dad's side) had a total cholesterol level that exceeded 400mg/dl (EXTREMELY HIGH). My Dad's LDL (bad cholesterol) has never been less than 275mg/dl (EXTREMELY HIGH). Since cholesterol is "bad" certainly both were destined for developing heart disease at an early age, triple coronary bypass open heart surgery and an eventually premature death from cardiac arrest. Sure enough, my grandfather died. At age 106(?) of natural causes. Alas, my father will die too. But right now he is 83, in good health and his cardiologist can't understand why his arteries aren't clogged, given his cholesterol level. As a precautionary measure, he prescribed him Lipitor - a cholesterol lowering medication that weakens how much oxygen the heart gets. Certainly both of them "got lucky" and somehow have lived 50 or 60 years on borrowed time. Or maybe that isn't the logical conclusion? Perhaps high cholesterol isn't a death sentence? Perhaps we got it wrong - maybe it's a good thing? We examined the subject and we'll tell you what you need to know without making you read an entire book. If you, like me in my early 20's, eat upwards of 12 eggs a day - you will want to hear this. Cholesterol is an essential, wax-like consistency molecule found lining the walls of the body’s cell membranes, as well as an important component of our blood. This is by no means the end of its functions, since it also has integral roles to play in insulation of nerves, aiding in production of bile and hormones and even in metabolism of fat soluble vitamins. More interestingly, is the fact that our liver is tasked with ensuring that enough cholesterol is supplied to the body on a daily basis; to the beat of around 1000-1400mg daily. This quota is balanced between natural production and dietary consumption, with higher intake leading to reduced natural liver production. To a large degree, yes. However, just because you have a family history of high cholesterol, that does not mean you are more likely than the average population to develop heart disease. 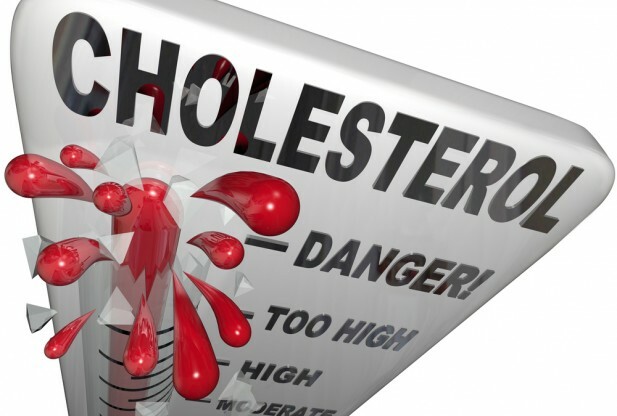 Will High Cholesterol Kill You? In fact, persons with higher than “recommended” cholesterol levels are the healthiest and are the most likely to live the longest. Well, for two reasons; first you need to address exactly which component of cholesterol is high. For example, the two most well-known components of cholesterol are HDL (the good faction) and LDL (the bad faction). From this very notion, many people get it wrong. LDL is in fact NOT bad, and serves a very important role in the body; supplying cells with cholesterol. HDL is basically the cleanup molecule, removing cholesterol from cells and recycling to the liver. Want to know something even more surprising? Studies have shown that the link between high cholesterol levels and atherosclerosis (fat deposits on the artery walls) cannot be concretely established[i]. "The Truth About High Cholesterol"
It is absolutely essential for production of many hormones in the body, including the important testosterone, and others like adrenalin. Hence, it is not surprising that men who consume the lowest dietary cholesterol, or whose levels are relatively low, also experience the greatest level of sexual dysfunction, as compared to men who eat heartily. A necessary part of every single cell on earth. Be in plants or animals, without the effects of cholesterol, cell membranes would become just porous and life would cease to exist as we know it. Insulation of Nerves- nerves need to be adequately insulated, or transmission of nerve impulses becomes difficult and risky. Think of electrical transmission lines that do not have a coating of some kind on them. The loss of transmission would be immense. Without cholesterol - you're dead. If you were alive (and not dead/unborn) in the late 80's, you'll remember when everyone stopped eating eggs because they were full of dietary cholesterol. Sad egg white omelets became popular at that time too. 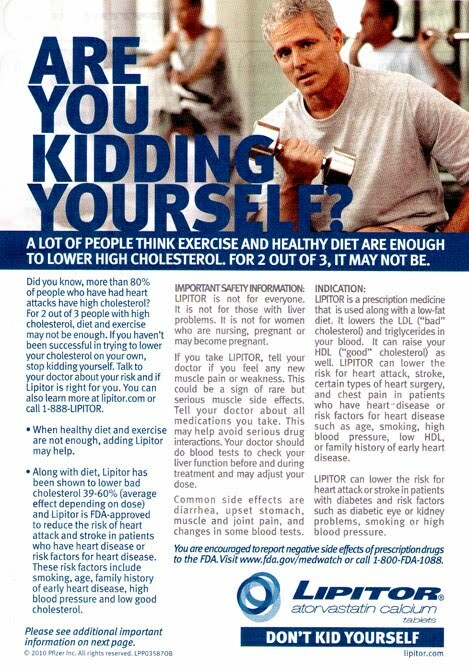 Since cholesterol was considered "bad", eating it was a good way to kill yourself. Surprisingly, your actual intake of dietary cholesterol rich foods has a minimal effect on your blood cholesterol levels. However, there is a problem. While cholesterol or fats in general will not pose a problem, there are two things that will. Trans Fats- these are synthetic fats that are added to foods (if you want to call them that) to improve their satiety and taste. They have no physiological function once in the body, and only serve to further impair a healthy cholesterol profile. Trans fats decrease the concentration of HDL in the blood, while increasing LDL. Sugar- we have known for years about the effect of high sugar consumption on our insulin levels, but now we have greater incentive for limiting it; preventing our cholesterol levels from going out of whack. How? One of the body’s most primitive storage mechanisms is storing excess sugar as triglycerides in the liver. Triglycerides are a particularly troublesome type of cholesterol related compound, since they are extremely energy dense, are the precursors for VLDL, and the smaller LDL molecules, which are notorious for getting trapped in vessel walls and worsening atherosclerosis. In 2004, I ate an average of 18 eggs a day. It had absolutely no impact on my cholesterol levels. What About Statins (Cholesterol Lowering Rx Medications)? Doctors hand out anti-depressants and statins like candy. It's what they are told to do. But did you know statins may be hurting you more than helping? Many people, and doctors alike, are totally oblivious to the worst effect of statins; depletion of CoQ10 in the heart; a condition that over time could likely result in heart failure. CoQ10 is a necessary co-factor in the production of cellular ATP, essential for energy of many organs, including the heart. CoQ10 is also an important anti-oxidant that could help alleviate the many stressors we come into contact with daily. So Why Are Physicians Lying To Us? It’s not they’re lying to us per se; honestly - many of them are totally ignorant and don’t even know the dangers of the drugs they are prescribing for us. It wouldn't be the first time. However, there are others; the big fish of corporate pharma, who know very well the risks and precautions of these drugs, but conveniently have large policy makers in their pockets, blocking the real details of these drugs from being released. So every once in a while when you see a black box warning arise from out of nowhere, just keep this in mind; they knew of it from day one, they just couldn’t hide it any longer. After all, these drugs are a trillion dollar industry by themselves. They spent millions of dollars creating (and marketing) these largely worthless drugs - why would they want to shine a bad light on it and compromise sales just so you can live a little longer? There’s a good chance if you’re using anabolic steroids (especially oral steroids) that your lipid profile will get jacked up. During a cycle, your HDL values will go down, while your LDL will go up. That alone panics most people. However, the effect on triglycerides is not that alarming. There may be little to no elevation, and since we now know that triglycerides have a larger role to play in development of atherosclerosis, we should rest a bit easier. As an added consolation, these elevated lipids quickly return to normal following the cessation of a cycle. If you are a competitive bodybuilders or athlete and "stay on" year-round, it is definitely worth supplementing with fish oil, niacin and CoQ10 year-round as well - even though it might not show in the numbers. Despite what the numbers might suggest - an active bodybuilder that uses steroids but eats virtually no sugar and trans fat will have a stronger heart and cleaner arteries than the average inactive person who eats plenty of trans fat and sugar from a diet full of processed foods. Triglycerides, not cholesterol, play a larger role in heart disease. If it was the other way around, my Grandfather, Father and I would be dead. So would every other professional bodybuilder who stays on year-round. Your HDL ("good cholesterol") literally goes to single-digits when you are on oral steroids and hypothetically cannot clean up and prevent LDL ("bad cholesterol) from clogging your arteries. As we know, it doesn't work out like that. If triglycerides are low, LDL cannot "oxidize" and build up in your arteries, regardless how high or low your HDL is. "Get Juiced by Good Looking Loser"
Eat antioxidants galore- fats, primarily Trans fats, primarily pose a problem when they become oxidized. The best way to prevent this from happening? Eating sufficient natural anti-oxidants. Supplement with Fish oil- the many benefits of fish oil on the heart are well established; from improving circulation, to reducing triglyceride levels[iii] and improving HDL. Fish oil will also strengthen the walls of the heart. Thanks for this article man! I followed your weight loss diet last year and lost about 30 lbs. I then got tested and found I had "High Cholesterol". "3 times a week" or whatever they say. Glad to have a short sweet info spot on this. Really nice job guys. Eat your eggs - its good for your testosterone and keeping your liver healthy. This is why I recommend this blog to friends. So when you say sugar is bad, are you talking about all sugar, or just processed sugar found in box foods? Im not sure if there's a difference. I mix a lot of honey with oatmeal all the time to get rid of the bland taste. Is that bad? While looking for further info on cholesterol and its link to CHD, we came across different views and studies on how cholesterol is linked to Coronary Heart Disease. There is also one other article that is similar to this article here. Now these article is also backed with studies that has been conducted to support the claim about how LDL cholesterol that we despised so much, that we called bad for so long - may turn out to be not so bad after all. Thank you for posting and pointing out one strong and valid evidence thru the life expectancy of your lineage, I wouldn't mind having high cholesterol level if I would live to a 106years old! Doctors are only as good as their training. It is strange how doctors use to prescribe cigarettes for good health. Gll your pops is really 80 and eats eggs all the time? I guess there's a lot to be said for manly, alpha diet and lifestyle. Make your own rules, eat plenty of meats and eggs, etc. Amd piss on Big Pharma and their eugenics non-sense. Theyll spend billions to take a cure that works off the market-bunch of scum.